I still cannot believe that Spock is gone. Off to where everyone has gone before and from where no one seems to return. 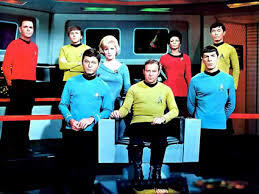 I grew up with Star Trek and it was my favorite show. I often marvel at how so many things depicted as the far future in Star Trek have already come true in my lifetime. Every time I pick up a tablet, I think of Star Trek…. I didn’t know Leonard Nimoy but his passing had more than an impact. I have reached that point in life where icons are passing on. It is something I will have to get used to I suppose while perhaps thinking that at least I am still around to experience this and that is the good news. Somewhere, perhaps, I am still a little boy peering at a huge box with curtains. The flickering black and white image features phasers, Vulcans and flat touch screen computers. I hope so anyway.